The theme for this year's Historic Calgary week is "reflect and remember." An interesting theme as for most of us Calgary is our adopted home so we have limited ability to reflect and remember on what Calgary was like even 50 years ago. I thought it would be interesting to share with reader some history postcards and photos that I have been collecting over the years. I also found and amazing collection of old postcards and photos in the Calgary Public Library's digital library - I was like a kid in a candy shop. I hope these images will help you understand that Calgary does indeed have a rich history and that we have preserved much of it. As I like to say, "city building is about balancing preservation and prosperity - you need both!" Calgary pre-highrises - 45 years ago. Love the use of awnings and blade signs to add colour and charm to the streetscape. Love the diversity of transportation modes in this photo - rail, car, horses and pedestrians. Love the congestion and chaos. Vitality comes from diversity more than density. Here old city hall dominates its corner of downtown, there is sense of authority and power. That is not the case anymore as it is dwarfed by the surrounding buildings. Size matters! Two of Calgary's early architectural gems - the Bay and Bank of Montreal. I expect that in the future the downtown rail station will return. How Eau Claire has changed? 7th Avenue looking east. Hard to believe downtown was once just a charming little prairie town. 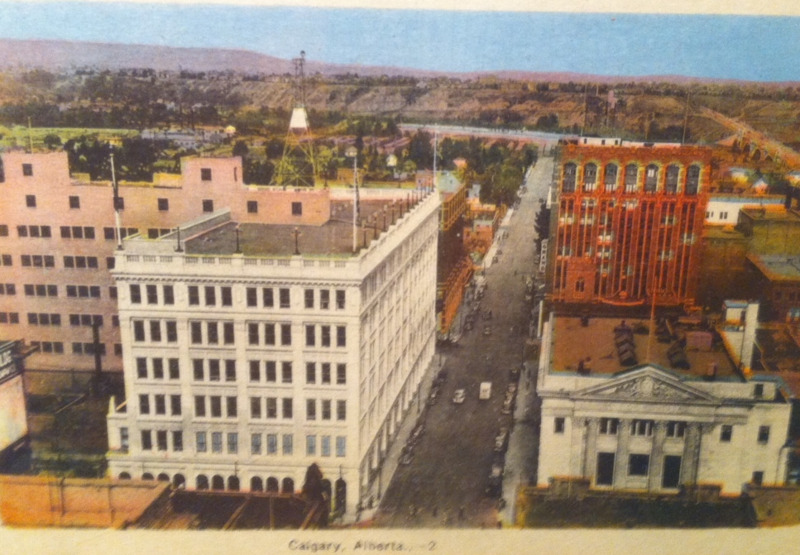 Note the Fairmont Palliser Hotel is under construction in this photo so this would be 1913. In some ways this underpass hasn't really changed very much. Downtown Calgary was home to many mansions and churches just 100 years ago. The Beltline before the trees and highrises, looks a lot like the new suburbs of the late 20th century. Central or Memorial Park is the beginning of Calgary's quest to create a unique urban sense of place. City building is an ongoing process that takes centuries not decades. Calgary is just a teenager when it comes to being a city.